or CLICK HERE to complete the Form Contact. 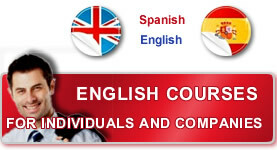 Advance Uruguay is an English and Spanish Training Institute in Montevideo, Uruguay. It is situated in the heart of Barrio Palermo, just a short walk from downtown and a few blocks from the spectacular Rambla where you can enjoy the amazing view of the sea. It is an area in the centre of Montevideo, but easy to get to, where parking is free.